Pour the cider and syrup into a large pot. Add the cinnamon, cloves, allspice, orange, and lemon. (If you want, you may tie these ingredients in a cheesecloth to make a bundle. This will make removing them easier). Place pot over medium heat for 5 to 10 minutes, or until the cider is hot, but not boiling. Remove from heat. Discard the spices, oranges, and lemons. 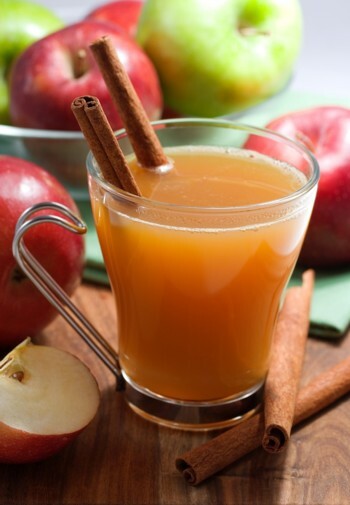 Ladle cider into cups or mugs. *hint* if you leave the lemon and orange in too long, they will begin to go bitter.